If the hard drive market is nothing but a sea of similarly priced gray boxes, then Rocstor’s Airhawk A9 is something of an anomaly. The portable storage device with a triple interface features a 7,200 RPM hard drive mechanism and a matte exterior that is distinctively futuristic looking. Unfortunately, while the device looks like a speedy stealth fighter, the results are more similar to a more pedestrian DC-10. The Airhawk A9 (we tested the 250GB version) is equipped with USB 2.0, FireWire 400, and FireWire 800 connectors. The cables are included with the unit, including a Y-cable for the USB connection that will allow the Airhawk A9 to draw power from two USB ports, ideal for older laptop models that can’t generate enough power to spin the drive’s mechanism. External hard drives are more workhorses than fashion statements, and so it’s nice to see a company develop a fun and functional design. The angular exterior of the Airhawk A9 is reminiscent of a stealth jet and the blue LED activity light at the front is a distinctive quadrilateral shape. It runs quietly despite its bus-powered 7,200 RPM Seagate mechanism. Rocstor uses Fujitsu and Hitachi mechanisms for their 5,400 RPM models. The Airhawk A9 comes with a two-year warranty and no packaged backup software for the Mac, but it works with Time Machine. Rocstore also promotes the ability to daisy-chain multiple drives together over FireWire to supplement your storage needs as they grow- but this isn’t a unique feature of the Airhawk A9. Any hard drive that uses FireWire allows for daisy-chaining. 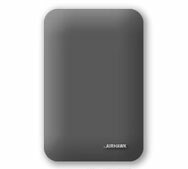 The 250GB capacity is on the smaller side for external drives, but the Airhawk A9 also comes in 320GB and 500GB capacities and equipped with either a 5,400 RPM Fujitsu or Hitachi mechanism, or a 7,200 RPM Seagate mechanism. The Airhawk A9 comes pre-formatted using FAT32 for cross-platform compatibility. Using this default format, the Airhawk A9 finished 20 seconds behind our top product, the OWC Mercury On-The-Go FireWire 800/400 + USB 2.0 320GB ( ) in our 1GB copy test using FireWire 800; the duplication tests were only marginally better. But after reformatting the hard drive to Mac OS (Journaled) the drive’s scores improved dramatically. If you plan to use the Airhawk A9 with a Mac only, use the Disk Utility program to reformat the drive with a Mac OS format for the best performance. The Airhawk A9 boasts great write speeds, finishing our 1GB copy test comparably fast to the OWC Mercury On-The-Go. The Airhawk A9 finished our copy test in 35 seconds while using FireWire 800 and in 50 seconds when using USB-nearly identical times to the OWC drive. Unfortunately, the Airhawk A9 is not as fast in reading files, as it lagged behind other models in our duplication test and low-memory Photoshop tests. Over FireWire 800, the Airhawk A9 took a full 8 seconds longer than the OWC to finish our 1GB duplication test. The Airhawk A9’s low-memory Photoshop test results using FireWire 800 were even worse, a full 15 seconds off the OWC’s time. The $120 price for the 250GB model is about average for a portable drive, given the Airhawk A9’s price per gigabyte ratio of $.48 cents per gigabyte. While expensive compared to some mid-level portable drives, its still cheaper than the OWC’s pricy $.56 cents per gigabyte ratio. The Airhawk A9 isn’t the fastest bird in the fleet, but may still be a serviceable device for users interested in zippy write speeds but don’t flinch at slower read times. Though slow compared to our top product in our duplication and low memory Photoshop tests, the Airhawk A9’s FireWire 400 and 800 connections ensure it remains faster than many competing portable drives.